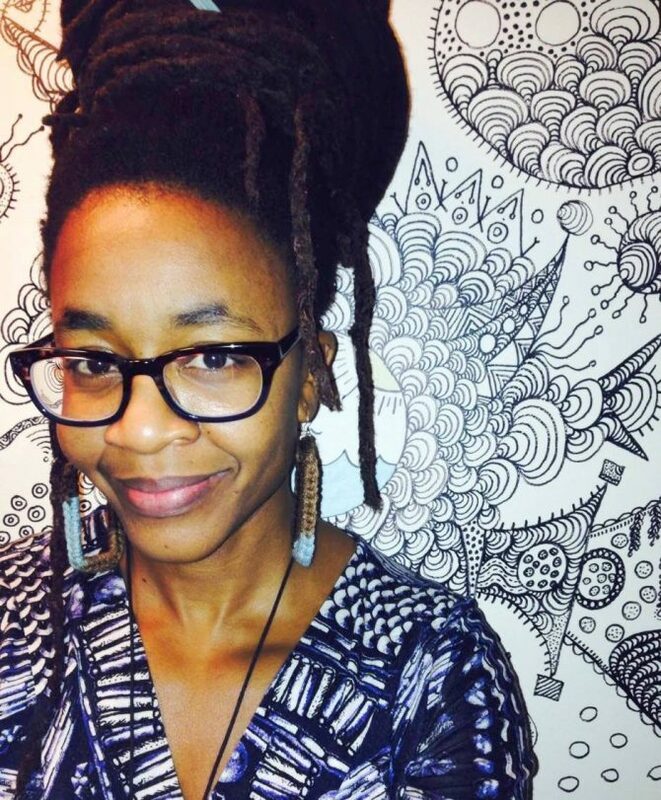 I am so excited about Nnedi Okorafor's visit to Lawrence this November! I'm a bit behind the times discovering the amazingness that is Ms. Okorafor. To catch up, I'm reading her critically-acclaimed work, beginning with Akata Witch, the first book of her beloved Akata series, which fans often refer to as "The Nigerian Harry Potter" according to a New York Times author profile. First, a disclaimer: I struggle to read fantasy, especially for kids and teens. 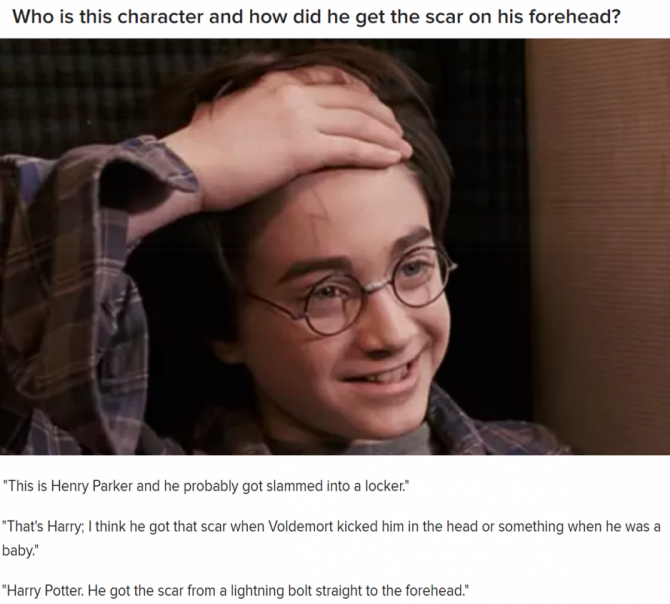 In fact, I have never read Harry Potter, so take my (otherwise pretty knowledgeable) opinion with a grain of salt! But, as Okorafor herself attests in the aforementioned Times piece, magic isn't total fantasy. “The idea of the world being a magical place, a mystical place, is normal [in Nigeria],” she is quoted as saying in the article. And as I wade into the Akata series, I find myself less and less convinced about that "Nigerian Harry Potter" label. 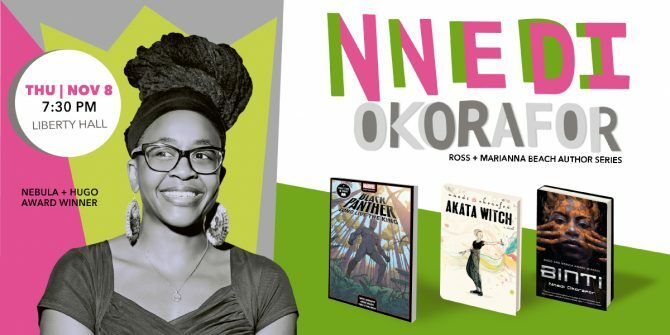 It undersells Okorafor's storytelling capabilities, and, in particular, her ability to weave deep cultural symbolism into what amounts to both an entertaining read at least on par with Harry Potter combined with a cultural education for readers like myself, who might not know a lot about Nigeria. One of the reasons LPL identified Okorafor as a Beach Author Series hopeful was to encourage our community to read diverse voices. Reading a book as fantastic as Akata Witch has definitely set me on a path towards more reading outside of my comfort zone. As groundbreaking as The Sorcerer's Stone may have been when released 20 years ago, Okorafor's Akata Witch features a protagonist whose cultural identity is both complex and, I sense, too, deeply symbolic of the issues young adults face when counting many identities among those defining who they are. As we begin Akata Witch, we meet twelve-year-old Sunny Nwazue, who was born in America to Nigerian parents and grew up in the states until only recently. Now living in Nigeria, she's a light-skinned and light-haired albino in African country, drawing suspicion and taunts from locals. Oh, yeah, and she's a witch. Her new friends help her discover her own magical powers, and she learns she is a part of the world of the Leopard People. A serial killer stalks Nigeria murdering children, and Sunny and her friends are chosen to stop him. Baked into this fast-paced fantasy adventure, we also learn about the multitude of cultures and languages alive among Nigerians (in part a remnant from Nigeria's oppressive colonial history). The book compels me for these reasons alone. But I also recognize its powerful representations of diversity in so many different and often symbolic instances. In order to stop the serial killer Black Hat Otokoto, for instance, Sunny and her friends must combine their disparate powers and capabilities. Although they come from different backgrounds and traditions, one person can't hope to solve a wicked problem or potential global apocalypse. Unity across divides is imperative for solving the world's most horrific threats, so all can be free from oppression—this, it seems, is Okorafor's underpinning message. I can see where people have the urge to label the Akata series the "Nigerian Harry Potter." In doing so, I guess they're hoping to attract readership, but in a way it seems to subjugate this wholly unique book to a subcategory beneath Harry Potter. Certainly, there are some similarities, a "chosen one" and a colorful crew of friends who must take on Big Evil, but I would argue that Nnedi Okorafor accomplishes something far more special and significant than the World of Harry Potter does. Akata Witch—without a didactic, ham-handed approach—is far more inclusive of diverse people, cultures, and ideas than Harry Potter. Okorafor weaves in a history lesson about a place about which most of us (myself included) are quite ignorant (West Africa), the importance of diversity, and even some probing of intersectionality thrown in for good measure. These things make our thinking more expansive and diverse by looking beyond the typical British/European canon of fantasy. I love Nnedi Okorafor's writing for that. We are truly lucky to have Nnedi Okorafor visit Lawrence. -Brad Allen is the Executive Director of Lawrence Public Library. Cover image: A Group of Friends by Nigerian artist Nike Davies-Okundaye, via artnet.com.